One of the looming questions surrounding the NFL concussion settlement has been about the diagnosis and compensation for Mild Cognitive Impairment. How are the levels of impairment defined and who determines if a player is eligible for treatment or compensation? To confuse the issue even more, there have been recent developments in the live diagnosis of CTE. Related to this, there have been several recent positive steps in predicting oncoming symptoms of mild cognitive impairment and alzheimer’s. Georgetown University, Johns Hopkins University and University of Pittsburgh have all conducted promising research toward identifying key predictive markers in people with symptoms of cognitive decline. In addition to the more dramatic diagnoses of ALS, CTE (post-mortem), and Alzheimer’s, the proposed NFL settlement provides varying levels of medical treatment or compensation for former players diagnosed with Levels 1.0, 1.5, and 2.0 neurocognitive impairment. As indicated in the settlement agreement, the levels are defined by the National Alzheimer’s Coordinating Center’s Clinical Dementia Rating (CDR) scale and determined in accordance with a battery of neuropsychological tests detailed in an exhibit in the settlement papers. The tests include the Wechsler Adult Intelligence Scale (WAIS), the Advanced Clinical Solutions (ACS) Suboptimal Effort and the Test of Premorbid Functioning (TOPF). 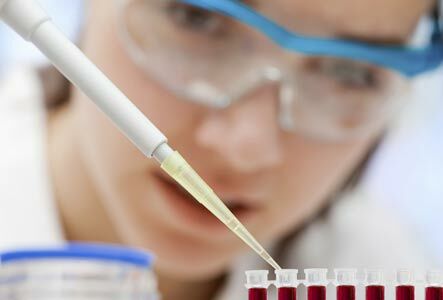 Researchers at Georgetown University claim that a blood test can predict with 90 percent accuracy if a healthy person will develop mild cognitive impairment (MCI) or Alzheimer’s disease within three years. Our novel blood test offers the potential to identify people at risk for progressive cognitive decline and can change how patients, their families and treating physicians plan for and manage the disorder. Essentially, the study took blood tests each year for five years of 525 people over age 70 who had previously shown no symptoms of cognitive decline. In the ensuing 5 years, of the participants who developed symptoms of Alzheimer’s or Mild Cognitive Impairment, 90% of them could have been predicted by the presence of 10 particular lipids in the blood. (It would helpful to know how many of the 525 people did actually develop symptoms. Is the 90% figure 9 out of 10, or 45 out of 50, or 90 out of 100?) Still, 90% is a remarkable predictive figure. Research performed at Johns Hopkins University showed that in a 10 year study involving 265 participants, by analyzing spinal fluid, researchers could predict mild cognitive decline five years before noticeable changes in memory occurred. In this time, two proteins, phosphorylated tau and beta amyloid in the spinal fluid, changed significantly. The ratio between tau and amyloid predicted the development of Alzheimer’s symptoms and memory loss. This research shows more evidence that vascular health and brain health are closely connected. Although there are no known “cures” for Alzheimer’s or dementia, it still may be helpful to confidently predict a problem, the sooner the better. For former NFL players, accurate predictive tests like these may help them deal with difficult uncertainty and with planning legal, financial and personal issues.